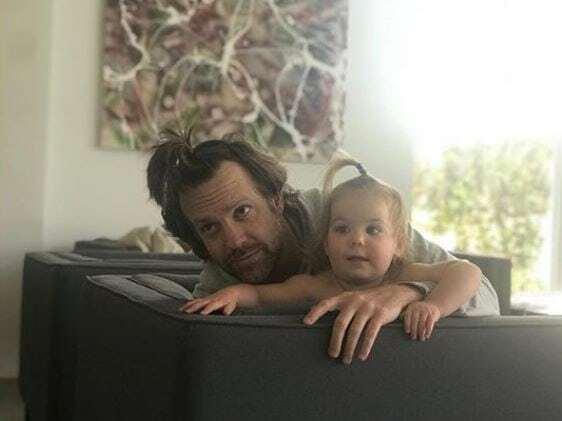 Comedian Jason and baby Daisy are enjoying father-daughter time together at home. Whether he is at home at on screen Jason knows how to make people laugh. He got his career start at The Second City which is an improvisational theater troupe based in Chicago. But Jason’s big break came in 2003, when he was hired as a sketch writer for Saturday Night Live. He then joined the cast as a member making audiences laugh from 2005 to 2013. After which he got engaged to the lovely actress Olivia Wilde. They have two children together, Otis and Daisy.